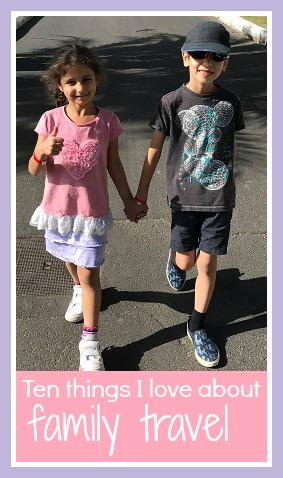 I always find blogging over the summer difficult - the hot weather makes it difficult to concentrate and when the children are around over the holidays I find it difficult to get anything done. One thing that I try to do is to spend the last couple of weeks of term planning and writing some content so that I have at least one or two posts scheduled every week to take the pressure off a bit. If you are like me and currently looking for ideas to fill your summer editorial calendar, I hope that you might find my list of Summer blog post ideas helpful! * Share a seasonal recipe - a barbecue favourite, a refreshing drink or your best summer cocktail. 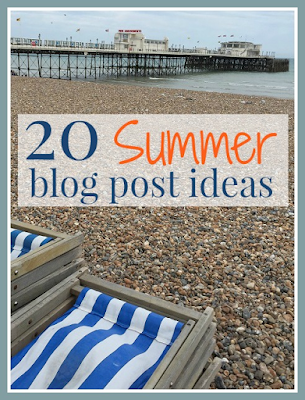 If you have published posts already over the last few years you can create a roundup of themed summer recipes to get some new views to your older content. * Write a garden update, a balcony update or even a windowsill update with pictures of what you can see from your window. What has changed recently, what is growing, do you have a beautiful tree or flowerbed to share or is the garden full of summer toys. * What happens in summer where you live? Are there any special events locally? Write a list of local activities like pick your own or car boot sales, or showcase something bigger like the International Bognor Birdman or the Eastbourne Air Show. * Write about some of your favourite summer memories from when you were a child. What do you do now to create fun memories with your children? Do you try and replicate the things that you remember enjoying? * Summer tips - How to keep babies cool, what to pack for a picnic, what you need in your hand luggage on a flight and so on. Everyone has advice to share! * How has the school year gone for your child? What did they achieve, what milestones did they reach, what fun things did they do? How do they feel about moving on to the next year, especially if they will be starting at a new school or will be having a big change. * How does your routine change during the summer - do the children stay up later, do you eat dinner outside, does what you eat change? Do you enjoy being more flexible, or do you prefer the routine of the school term? * Hold an interview with your child at the end of the school year, perhaps comparing a photograph of them on their first day with one taken on the last day. This also makes a good vlog and creates great memories to look back on. * When you get back write a review post, along with a video if you can. Include useful information to help people that might be planning their holidays, and remember to re-share in January when people are booking for next year! I write about pretty much everywhere that we visit, it doesn't need to be a press trip as people will value your honest opinions and photographs. If you managed to save money when booking share your tips, and write a list of packing essentials. * Make a list! Ten (or more!) things that you love about summer, about the warm weather, the light evenings, about the school summer holidays, favourite summer foods, favourite places to visit locally. * Summer garden ideas - some things you've done to make your garden pretty, share a Pinterest board if you have one, reviews of garden equipment that you've purchased like play or cooking equipment. I've been living by the sea for about 15 years now, at one point within a ten minute walk and currently about two miles away - close enough that I can walk or run to the coast easily enough. The children go to school in our nearest seaside town and I often park up early so that I can go for a quick walk to the seafront and breathe in the sea air. I also try to fit in a seaside walk most weeks, either alone or with a friend. Although Worthing isn't perhaps top of the list when it comes to a UK beach holiday destination, there are still plenty of tourists here over the summer. The first summer that I was living here I was temping in the town centre, and I loved taking my sandwiches down to the beach at lunchtime and sitting on the pebbles in the sun with the holidaymakers and locals. It was a bit like being on holiday myself! Worthing can get very busy in the summer, both in the town centre and on the outskirts as you head out towards Goring and Ferring, the cafes are full and although there is plenty of free parking along the front and down surrounding roads they do get very congested. I love going down to the seafront for a run in the evening when it's still warm and light but a lot quieter. I like to run along the front past the private estates with the big houses that have gardens that stretch down to the beach, imagining what it would be like to live so close to the sea. It's beautiful at sunset, especially when the tide is partly out so you can see the sand underneath the pebbles. The photo below was taken on one of our first summers in Worthing. We lived in a lovely flat very close to the sea front, and every evening after work we would go for a walk along the front, often all the way into town. We didn't have a garden, and so we used to take a disposable barbecue down to the beach. I loved living so close but when it came to buying a house we just couldn't afford one in that area. Last summer I felt like I rediscovered the beach again, after a few years with young children that to be honest weren't that thrilled with a trip to a cold and windy local beach that didn't have any sand. I did try to take them there a few times when they were little, but after one screamy trip too many I gave up for a while and we kept the beach for holidays. But last summer we had a few trips both alone and with friends, and a couple of times I even indulged them with an ice cream! Now that the children can ride their own bikes, and I have a bike of my own, I'm hoping that we might enjoy a few family cycle rides along the prom, which has a lovely wide cycle path. I'm certainly intending to get down there by myself whenr I can. Perhaps one day we'll be able to afford a house right on the seafront. I dream of a house with a large window that looks out over the sea so that I can watch the sunrise and sunset and listen to the sound of the waves. We've been enjoying some lovely sunny days lately, and I've been trying to make the most of the garden, both by myself during the day and with the children after school. I'm not much of a gardener so we don't really have any flower beds, it's usually as much as we can do to keep the grass cut and stop the weeds from completely taking over! Last year we bought some new garden furniture which I really like and has had a lot of use. It wasn't too expensive but it's quite sturdy and easy to clean. We do enjoy lots of barbecues and it's nice to have somewhere to sit during the day that is comfortable. It's also very light so it's easy to move around the garden depending on whether you want sun or shade. Mia brought this plant home from school before half term, having been told it was a sunflower, and was under strict instructions to look after it so they could see whose had grown the tallest. After a couple of days it became apparent that it was in fact a nasturtium, so I've planted it out in a pot for her in the garden which she has decorated with my painted pebbles - she's very proud of it! This is our vegetable patch which is just off to the side at the bottom of our garden. My parents were visiting last week and I took advantage of my Dad having weeded it to take a photo. I had planted lots of things and was reluctant to weed it in case I pulled something up by mistake (that's my excuse anyway!). Unfortunately many of the things that I had planted didn't actually grow so he's planted me some more, I'm not very green fingered! Finally, keeping an eye on our garden is Beowulf. I found him in our old house when I was sorting out the garden after we'd been living there a year or so. It had become a bit of a jungle and was quite overgrown, and I found him tucked away among the vegetation. I named him Beowulf, I'm not sure why but I think that we'd just watched the film. I wonder if his previous owners ever wonder where he got to! I used three green lollipop sticks to make the stalks for each decoration. Two of the sticks are cut down so that the flowers fit nicely. 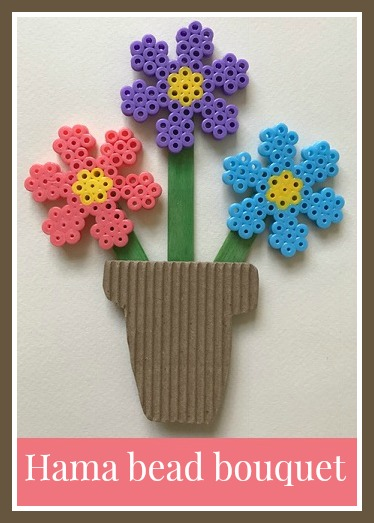 The sticks are attached to the bottom with glue to hold them firmly in place, then the Hama bead flowers are glued to the tops of the sticks. I've found that as long as you leave the glue to dry thoroughly, the Hama bead decorations stick down firmly. When it was all dry I made some flowerpots for the decoration using some brown corrugated card. You could also use brown craft foam or just some thick cardboard. Alternatively you could just keep the Hama bead flowers on individual sticks, I bit like these decorative plant markers that I made using mini Hama beads. The finished craft would look lovely stuck to the front of a card, perfect for Mother's Day or as a thank you card. You could also use BluTack to stick them up somewhere as a summery decoration, mine are currently brightening up my desk. 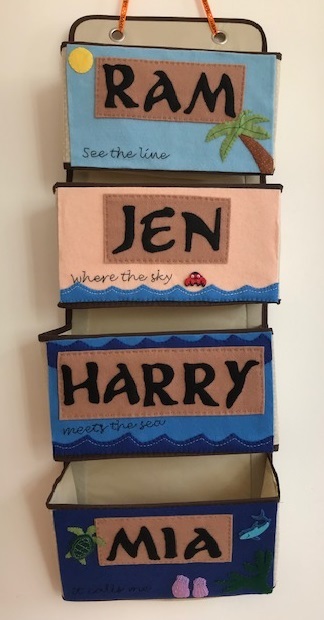 They would also look nice with some ribbon attached so that they can be hung up. If you liked this craft you might also like to see my Hama bead crafts page. Now that the half term holiday is over, I can't believe that the children only have five weeks until they break up for the summer. These last few weeks have gone so quickly, and the end of term will be here before we know it. They have both had end of term tests, and although Harry still has a piano exam in his final week, things definitely seem to be winding down. Their school shoes are looking scruffy as I'm reluctant to buy them new ones that they will grow out of over the summer, and I'm anxiously watching the hemline on Mia's tunics - she only needs to wear them for one more year and so I'm hoping that I can get away without buying expensive new ones! I always spend this time of year fretting over school uniform. Admittedly last year was much more stressful, as they both started a new school in September and I had two complete sets to buy as frugally as I could. There will be a second hand sale at some point in the next few weeks so I need to get my list together for the school branded bits, then stock up on the remainder and the generic bits as soon as I can before the shops start to run low. This year I'm determined not to leave it until the last minute like I often do! In my memory the summer term at school lasted for ages, and was mainly formed of long lunchtimes sitting out on the grass field, making daisy chains which we rushed to put into water as soon as we got home in the hope that they would last. I remember the excitement when it was warm enough to wear the summer dress, and it had to be very hot indeed for us to be allowed to bring a water bottle into school (there were just a couple of water fountains). I hope that the children are making fun memories of their time at school, although quite different to mine. Some things are the same though - when I was at school one summer craze was a Coca Cola yo yo (I still have mine...), which is not all that different from a fidget spinner! The children's school is very close to the sea, and Mia's class have been spending alternate weeks having 'beach school' which sounds fantastic. They've been drawing the pier, looking for shells, making art and doing some beach science. I'm really looking forward to the end of term and having the children at home with me all day. I love the long summer evenings when there is no pressure to get up the next morning (although of course that doesn't stop them rising at the crack of dawn...), no packed lunches to make, no homework, and no school run. However I'm sure I will have forgotten my enthusiasm a few weeks in, when I realise that I have literally no time to myself and the only way to get a break is to let them play Minecraft for a bit, which ties up my computer so I can't even do any work! I'll be coming up with a list of activities like I usually do, and spending some time browsing Pinterest for inspiration. Hopefully we can organise some play dates and day trips with friends! What are your memories of the countdown to the summer holidays? I've been reflecting on the fact that the children have been in their new school for almost a year now, and remembering this time last year when it was a flurry of taster days and uniform sales before the end of term. I'm so proud of them both, they have settled in brilliantly. Mia barely remembers her old school, and while Harry found the transition a little bit harder for the first couple of months he is perfectly settled now. This summer term seems to be going by so quickly. I've started working on a new granny square crochet blanket which is coming along nicely and is using up some of the yarn from my stash. I've also been having fun playing with some mini Hama beads, and made some little kittens from a kit which the children have adopted. Also staying with the Hama beads I was really proud of my Hama bead flower wreath which is currently brightening up a corner of the kitchen. We are enjoying the latest series of Better Call Saul on television and have also started The Handmaid's Tale, an excellent adaptation but tough viewing. I've been to the theatre twice this month, first with Harry to watch Horrible Histories, a fun show which taught us both a lot. Then three of us enjoyed the excellent Harry Potter and the Cursed Child in London which was amazing. I've also discovered a new genre of videos on YouTube - speed cleaning and decluttering videos! It might seem a bit pointless to be watching videos of other people decluttering when I could be doing it myself, but I find it really inspiring, especially watching videos of people that have more stuff than I do. A new favourite is the Messy Minimalist, I just love watching her have a sort out and she is really motivational. It was Mia's sixth birthday last week, a celebration which ended up being spread across several days and involved four different birthday cakes, so there has been a lot of cake eating! At the weekend we attended a Sangeet pre-wedding celebration with family and there was lots of delicious food to enjoy. I came back with a box of Indian sweets which I love, although they are very sweet - I can't eat too many at once! At the beginning of May we celebrated my Dad's 70th birthday with a family weekend at a cottage in Bedfordshire. It was a really lovely weekend, we went to Whipsnade Zoo, my sister took us swimming at Center Parcs Woburn where she works, and we had lots of family time. More recently we spent a few days over half term at my in-laws in Warwick catching up with some extended family. We had a lovely day out at Warwick Castle and some nice walks along the canal, then finished with the Sangeet in Luton. I've not done much reading of books this month which is a little disappointing. I've added a few books to my wishlist, mainly ones that have been recommended by fellow bloggers, I just need to set aside some time to get on with it. I did re-read one of my childhood favourites while hunting out old books to pass on to Harry - Back Home by Michelle Magorian. I've just started Harry off reading the His Dark Materials Trilogy by Philip Pullman which he is loving and I think they are definitely due for a re-read. I have been keeping up with reading blogs though which has been really good, something that I had neglected for a few months. I'm now making the effort to have a daily read through the blogs that I'm following on Feedly, and looking for linkies to help me find some new blogs. There are so many talented writers and crafters out there! Yesterday we held Mia's 6th birthday party at the local soft play. Because we were away in the days leading up to it I was very organised and got everything ready well in advance, with party bags ready to go and just a few bits of food to prepare in the morning. I'm always worried that there won't be enough food boxes or party bags and make extras, but this time there were no surprise guests and there was plenty for everyone. At the beginning of July our village is holding a village wide garage sale trail. I've not committed to taking part yet but I've started gathering things together that I could sell if we were to join in, and I've amassed quite a pile so I think we will. I've been trying to group things into similar priced groups and saving boxes to display everything in. I'm also busy trying to plan my blog and social media work in preparation for the summer when I will have children constantly under my feet! I can't believe that the children only have five weeks left until the long summer holiday. I'm very much looking forward to it as I love having them around, although it's hard work. At least it's much easier now that they are older and I have Minecraft as an option for easy entertainment. At the start of July once the children have broken up for the summer we've booked a mid-week break to Center Parcs Elveden Forest. It will be the first time that we've visited during the summer as we usually aim for cheaper out of season breaks when it's cold and rainy, so I'm really hoping that we get some nice weather, maybe we will even manage a barbecue or two! This month the theme for my Bostik Bloggers craft box was space, and seeing some lovely little alien foam stickers I decided that we would make an alien play scene! First prepare your box by cutting it down if necessary. Then tear lots of tissue paper into small pieces. Pour out some Bostik White Glu into a deep plastic cup. First make a rocky base for your box with some scrumpled up pieces of newspaper, especially in the corners and edges. Then take pieces of thinner tissue paper, cover them with the glue using a brush, and spread them out over the newspaper to make a smooth surface. Cover the inside of the box with tissue paper too in thin layers. Wait until the tissue paper and glue are completely dry, then paint them with grey paint. Paint the rest of the box black to form the sky. When the black paint has dried you can add a coat of sparkly glue paint. 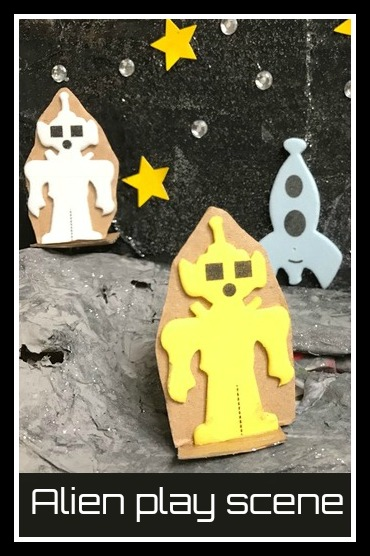 While everything is drying you can make your aliens. I used the foam alien stickers, and I stuck them to cardboard to make them thicker. I used a small square of cardboard to make a base for them, secured in place with a line of Bostik White Glu. When the background to your play scene is dry you can decorate with star stickers and sequins. Then you are ready to play!